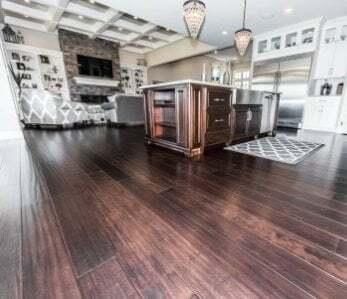 If you’ve been researching flooring for your home, you may have come across the term “.” It’s an odd sounding term and most home owners have no idea what it pertains to, although it’s something you should definitely be aware of when shopping for new floors. The Janka hardness test measures how dent-resistant a sample of wood is. This wood could be used in any building application but the test is commonly used to determine if a material is suitable for flooring. The Janka hardness test measures the resistance of a sample of wood or bamboo to denting and wear and tear. After all, you want to know your floors are going to stand up to major abuse. The test measures the force that is required to embed an 11.28mm ( or .444 in to be very exact) steel ball into wood to half the ball’s diameter. I know, it sounds very confusing and technical, but when the test is over it will leave an indentation in the sample. Here is where it gets even more confusing: depending on where the tests are performed, the results will be stated in various ways. In the United States, the results are listed in pounds-force (lbf), in Sweden, the results are listed in kilograms-force (kgf) and in Australia they are often listed as newtons (N) or kilonewtons (kN). So now that we’ve gotten the technicalities out of the way, what does all of this mean to you when you’re shopping for floors? Well, if you have pets, kids or live an active lifestyle, you know you need tough floors. 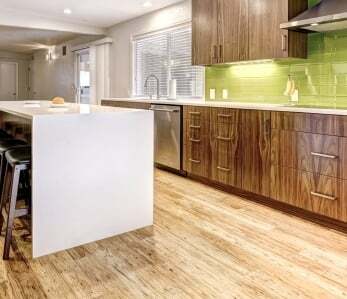 If you’ve decided on wood flooring, then going with strand woven bamboo or eucalyptus is a no brainer. They’ll stand up to your kids, pets and anything else you throw at them, and under residential traffic conditions it’s possible you may never even have to refinish them. 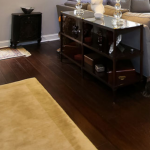 Traditional “classic” bamboo floors (commonly called “vertical” or “horizontal”) typically have the hardness rating in the 1000-2000 range, which is the same rating of oak. Not too shabby. But strand-woven bamboo has a rating upwards of 3,800, which is well above Brazilian cherry and teak. 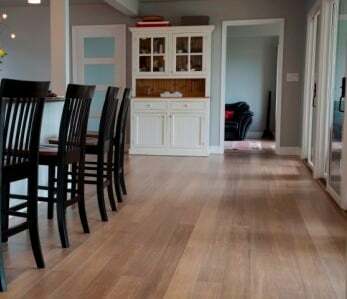 The main difference being the bamboo floors will cost far less and bamboo renews much quicker than hardwoods which makes it the more eco-friendly option. In addition to being multiple times harder than traditional hardwoods, strand woven bamboo is also eco-friendly and rapidly renewable. 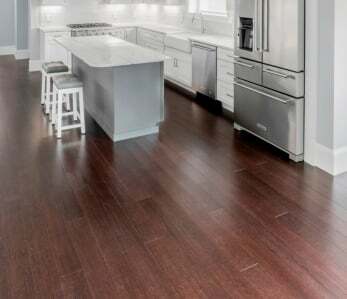 Are you in the market for new flooring, need it to be hard but not so hard it breaks your bank? Then you may want to check out our selection of . 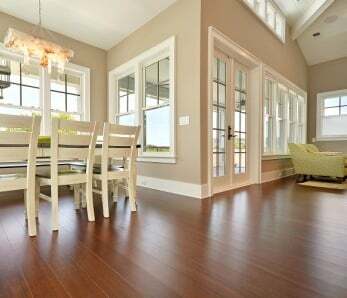 ‹ How are Bamboo Floors Different from Hardwood Floors?